Penton Media Asia Limited and New Hope Natural Media are proud to announce the successful returns of the Natural Products Expo Asia 2012 (NPEA 2012) at Hall 3F-G, Hong Kong Convention and Exhibition Centre from 23-25 August, 2012. Running annually in summer the show presents an extensive profile of trustable, best-selling, and top-notch natural and organic products ranging from food and beverage, vitamins and supplements, skin care, personal care and cosmetics products, home spa and supplies, ingredients, etc. To celebrate its first 10th edition, NPEA takes a lead by focusing on healthy aging �C one of the hottest topics in natural & organics industries nowadays. As people live longer and seek to enjoy good health throughout their lives, people are increasingly embracing a positive, proactive approach toward the natural process of getting older. Manufacturers, ingredient suppliers and retailers are all stepping up their efforts to court the massive population of baby boomers who are serious about healthy aging. NPEA will gather these premier manufacturers and suppliers from across the globe and showcase more than 5,000 types of quality exhibits all under one-roof. Coping with the market trend, leading industry players including Earth Friendly Products, Natural Garden Ltd, Nature’s Care, Premier International Marketing, Tangut Corp, together with national pavilions from Australia, New Zealand, Thailand, U.K, U.S.A just to name a few will continue to showcase a diverse range of quality-guaranteed natural and organic products and supplies. 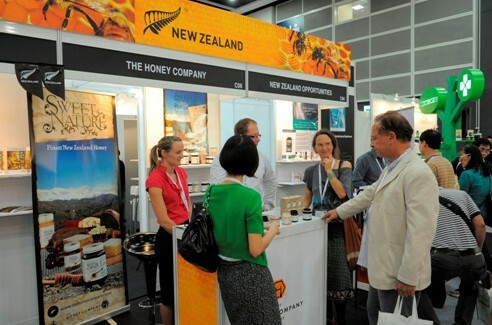 Meanwhile Blackmore Australia, CreAgri International Sdn Bhd, Eu Yan Sang International, Olive Lifesciences, Redmond Trading make their debut in NPEA and bring forward a vast array of products to over 10,000 quality buyers from across the globe. 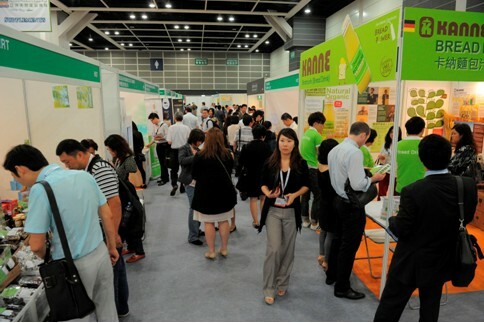 With overwhelming supports from ASEAN Alliance of Health Supplement Associations (AAHSA), Health Supplements Industry Association Singapore (HSIAS) as well as other organizations, Singapore and France pavilions will appear for their first time in coming-edition, further enhancing the professionalism and internationalism of the show. Riding on the brilliant track record, Nutracon Asia 2012 conference, which will be held 1 day prior to the show (22-23 August, 2012) aims to provide business researchers, industry leaders and high level executives with the latest trends, opportunities and market developments in the health, nutrition and personal care industry. Healthy Kitchen, a live cooking demonstration inside fairground, features hot-in-town celebrity chefs to present nutrition-rich dishes that are made up of finest natural and organic ingredients, attractive both in presentation and taste. Open Forum provides a reachable platform for exhibitors and speakers to present the product design and development, as well as upcoming market trends in a more interactively way. Since its inception in 2002, NPEA provides the best platform for product sourcing and up-to-date information exchange to the global natural, organic and health products industry. The show attracted 200 exhibitors and ~9,000 visitors from over 50 countries and regions in 2011 edition. NPEA is organized by New Hope Natural Media and Penton Media Asia Ltd., supported by various local and overseas organizations including United States of America �C Department of Commerce, Australian Trade Commission, New Zealand Trade & Enterprise, UK Trade & Investment, Hong Kong Tourism Board and invest HK, etc.